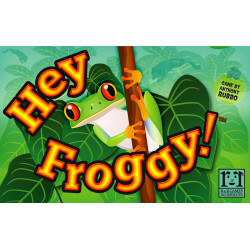 Build a pirate empire in the uncharted Plunder Islands of the Cairribbi— er, Carebbe— er, near the Gulf of Mexico! Seize your destiny of buccaneerrific awesomeness, and gather hordes of pirates, hoards of doubloons, ever greater infamy, and (of course) ever more treasure! 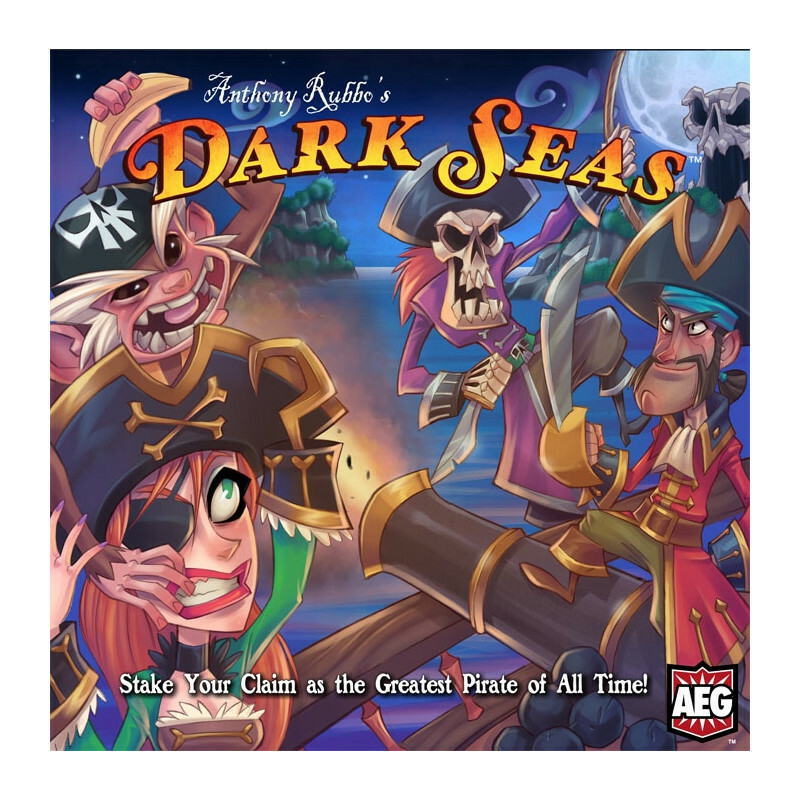 Dark Seas is a dicey island-building game. 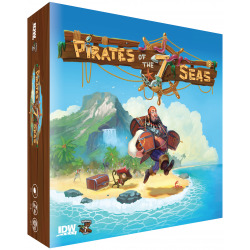 Build a pirate empire in the uncharted Plunder Islands of the Cairribbi— er, Carebbe— er, near the Gulf of Mexico! Seize your destiny of buccaneerrific awesomeness, and gather hordes of pirates, hoards of doubloons, ever greater infamy, and (of course) ever more treasure! 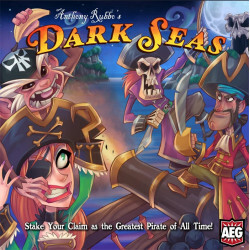 Dark Seas is a dicey island-building game. 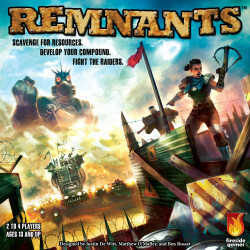 Each player plots out his own plundering route, filling its ports with docks, hideouts, and shady sea-faring characters. 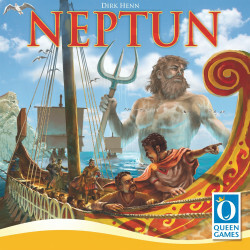 Players sail their ships around their islands, building their reputation by recruiting pirates, gathering doubloons, and acquiring treasure and infamy. Whoever amasses the greatest reputation wins!